Dr. Augustine Ozioma Onwumere is a Co-Founder of the PWAN GROUP. 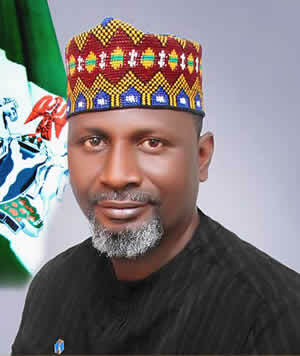 He sits as the Chairman of the PWAN Group which is the largest and widest Real Estate Network in Nigeria with Estates and Offices spread across several States of the federation…Lagos, Ogun State, Abuja, Owerri in Imo State, Port Harcourt in Rivers State, Asaba and Warri in Delta State, Awka in Anambra State with Enugu opening soon. 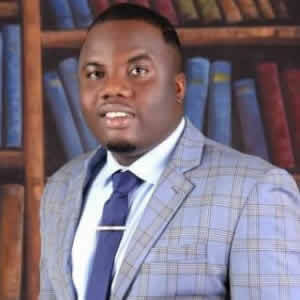 He is also the CEO of Five (5) service and product Companies in Lagos, Abuja, Asaba and Port Harcourt. The Head Quarter of the PWAN Group is in Ajah, Lekki Lagos. Marc Austine as he is generally called was born to a wealthy family in Lagos, Nigeria and due to his relentless nature amidst his siblings decided to tread the path of sales at an early age of eight. He was encouraged by his Father’s quest and legacy for a successful lifestyle through hard work and faith in God. He is a well loved Lagos-based Real Estate and Human Empowerment strategist with special focus in Sales and Development. He is an enthusiastic and dedicated leader with both significant and practical experience in a working environment. He is quick in grasping new ideas and concepts and very innovative to proffer realistic solutions to problems. He has demonstrated the highest levels of motivation and has a strong ability to perform effectively even within a highly pressurized working environment. Augustine is a dynamic leader, consistently sited for unbridled passion for work. His energy and enthusiasm as a leader who has broken all barriers to get to the peak cannot be quantified. He is a force to be reckoned with. His focal business remains Real Estate Investment and Development; he believes that Nigeria can become better if Entrepreneurship remains the pursuit of every individual. Hence, his drive to reach out to millions of Nigerians through a live Empowerment programme on 93.7 Inspiration F.M Radio broadcast known as “Mr. Empowerment”. He runs this program weekly on air where he talks about empowerment, and no doubt, inspired a lot of Nigerian youths who are now real estate consultants with the move to make Home ownership dream a reality for all. His pro-activeness and drive for success have established PWAN GROUP on a foundation of reliable, resourceful and excellent organization for her clientele. He has received honorary awards from various institutions and led the Group to receiving various awards such as African Quality Achievement Award, Global Quality Excellence Award and so on. He is never tired of investing in New Dreams, creating jobs for over 150 Young Nigerians excluding the over 30 thousand Independent Real Estate Professionals generally called Consultants working with PWAN; his vision is stemmed around personnel development and target achievements. 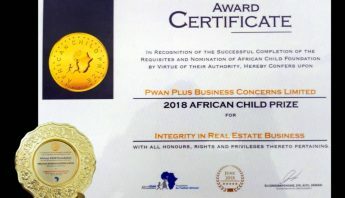 PWAN HOMES Limited, being the pioneer company, began to open other Companies in partnership with Independent Consultants which today forms the PWAN Group. Presently the group houses twelve Companies known as PWAN EDGE, PWAN Plus, PWAN Premium, PWAN Heritage, PWAN Haven, PWAN Prime, PWAN Legend, PWAN Stars, PWAN Lekki, PWAN Royale, PWAN Assurance and PWAN Precious. Also in the Group is PHPAC, the Company charged with the responsibility of raising and equipping ordinary people to extraordinary feats in the Real Estate Industry. Augustine Onwumere, a graduate from University of Lagos Akoka, has attended several courses in Lagos Business School and other learning institutions and continues to continuously develop himself to be able to empower others. He is married with three children to Jayne Obioma Onwumere; the woman he fondly refers to as the brain behind the business that has placed him where he is. 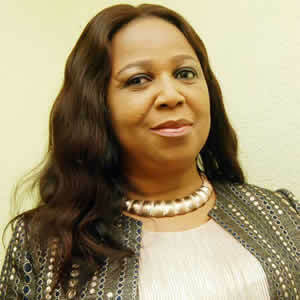 Dr. Jayne Obioma Onwumere is the Group Managing Director of The PWAN GROUP. PWAN is an acronym for Property World Africa Network. She leads a team of 12 Managing Directors with 110 direct Staff spread across 12 Affiliate Companies that make up the PWAN Group and over 30 thousand Independent Real Estate Professionals generally called Consultants. At a time when Nigeria’s employment market was dwindling and some families losing their homes due to lack of funds to pay rent, Jayne and her darling husband Augustine Onwumere received a God given vision to make home ownership dream a reality for as many people as possible. This dream birthed a Real Estate Network Marketing Company in March 2012 with the Pioneer Company known as PWAN HOMES. 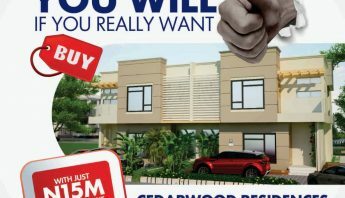 PWAN HOMES is acronym for Property World Africa Network Home Ownership Made Easy Scheme. 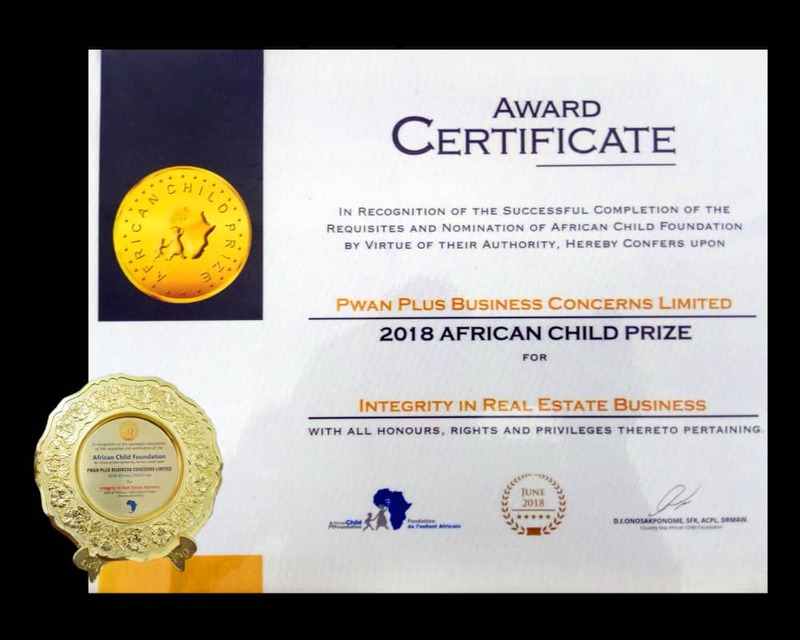 PWAN pioneered the first Real Estate Network Marketing Business in Nigeria, Africa and in the World (to the best of our knowledge) providing opportunities for hundreds of thousands of Nigerians to earn consistent Income as Real Estate Entrepreneurs. In the history of Nigeria, we have not experienced more people in Real Estate than we have now and it is all due to this novel idea birthed by this Couple even at a time when they were homeless. With focus, determination and hard work, The PWAN Team today (comprising of Staffs, Partners and Consultants) are engaging with both public and private sectors, Individuals and Nigerians in the diaspora to bring massive change in the life of people. This has strengthened synergies and yielded positive outcomes for the sector. Three years into its operation, always a pioneer, PWAN HOMES began to open other Companies in partnership with Independent Consultants which today forms the PWAN Group. Presently there are twelve Companies known as PWAN EDGE, PWAN Plus, PWAN Premium, PWAN Heritage, PWAN Haven, PWAN Prime, PWAN Legend, PWAN Stars, PWAN Lekki, PWAN Royale, PWAN Assurance and PWAN Precious. This is a move that has no precedent in the History of Business in Nigeria if not in the World. All the Companies are fully funded by PWAN Homes and fully equally owned. Also included in the Group is PHPAC, the Company charged with the responsibility of raising and equipping Independent Real Estate Professionals aka Consultants. 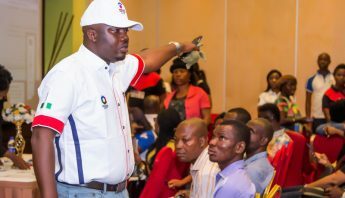 In the last six years, PHPAC has trained thousands and thousands of people in Network Marketing in general, Real Estate Network Marketing in particular, Entrepreneurship, Management, Leadership etc. With the startup of The PWAN Academy in 2017, PWAN has become the Go To place for Real Estate Business Owners to source Workers for their Companies. In 2017, Mama Africa as Mrs. Onwumere is fondly called single handedly empowered 50 women to start up small business venture or to improve existing ones with Fifty Thousand Naira each through her Empowerment for all Women Program. This she intends to do every year for as long as the Lord enables her to do so. She has organised several outreach to Orphanages with a lot of provisions and monetary gifts. Together with her husband, she pays school fees for so many children, pays house rent for many and keeps a Completely Open Door policy that has made many refer to her as Mummy, Mama Africa etc. The work done by PWAN in just a little over Six (6) years have inspired so many people to venture not just into real estate business by using the PWAN Model but into other businesses. People now understand you do not necessarily need money to venture, you need faith, you need focus and you need tenacity. And mostly, you need to have love for people and a desire to empower people to become the best they can be. Dr. Jayne Obioma Onwumere, a Lifelong Learner, an Alumnus of Lagos Business School also attended the Owner President Management Programme at the Prestigious Harvard University, Boston Massachusetts, USA. She is married to her Best Friend, a man she believes God used to birth relevance in her life and they are blessed with three lovely children. 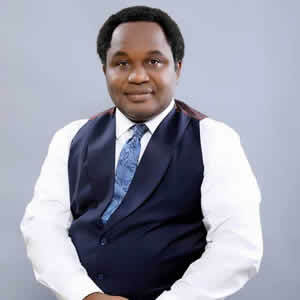 Mr Julius Olaniyi Oyedemi MCIPDM is a quintessential, ebullient, energetic, affable, amiable, smart, creative, innovative and highly vast & versatile man who has cut his teeth in the real estate sector. He oversees one of the forward-moving affiliates of the PWAN Group- PWAN PLUS as the Chief Executive Officer and Managing Director. Mr Julius, an engineer by training, has added several professional feathers to his cache of knowledge. He is a member of the Chartered Institute of Public Diplomacy and Management and has attended several business, management and leadership courses at the famous and prestigious Lagos Business School. Mr Julius is a seasoned business development, sales and marketing strategist who therewith continues to steer the ship of PWAN PLUS into sustained market dominance and relevance. Mr Julius has in his official and personal capacity won several awards for his innovation, excellence and impact in the real estate sector such as the Nigerian Property Merit Award & Real Estate Excellence Award 2017 as well as the Nigerian Real Estate Industry and African Child Prize for Impacting the Nigerian Child through Real Estate, to mention but a few. He recently won the 2018 Real Estate Excellence Award for the Most Enterprising Managing Director of the Year. Mr Julius, in his less than two-year stint as the MD/CEO of PWAN PLUS, has provided high value programs and strategic initiatives that have bolstered business and replenished revenue. Suffice it to say that it is an open secret that Mr Julius has in his humble capacity brought a lot of value to the PWAN Group and specifically PWAN PLUS. 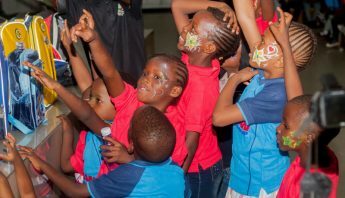 Presently, PWAN PLUS has about 12 top-prime estates in Lagos and Imo states and enjoys massive patronage and loyalty from clients and consultants. Mr Okonkwo is a dynamic and astute individual with a knack for excellence. He is a graduate of Imo State University. His work experience spans over 13 years from his IT stint with Chevron Escravus where he worked at the tank farm/operations lab as a supervisor. He then moved on in 2004 to establish his own company called Folkland Engineering Company Ltd. He joined PWAN Homes Ltd in 2013 as General Manager. He became the Chief Operating Officer in 2014, Executive Director in 2015 and became the Managing Director in March 2017. He has very wide experience in real estate ranging from Prospecting, Acquisition, Sales and Real Estate Consulting/Management which spans over 10 years. He has attended real estate trainings and seminars both in Nigeria and abroad. Mr Okonkwo sits on the Board of all the affiliate companies in the PWAN Group and presently heads PWAN Legend as Managing Director which he is using to launch the Group into buildings development. He is loving and down to earth and is happily married with four (4) kids.